We’ve purposefully stayed away from the most touristy spots that don't lend themselves to intimate New Zealand honeymoon experiences. 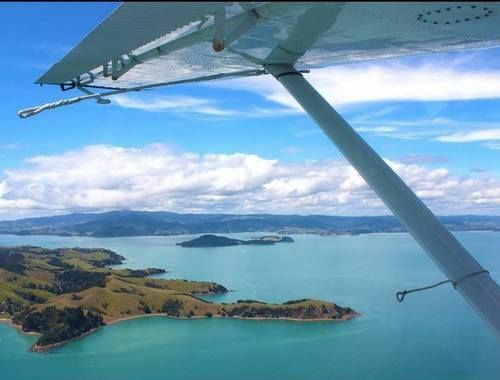 There are many different options when it comes to couple friendly activities, you could go on a guided nature tour to a regional park north of Auckland where it is possible to spot Kiwi in the wild and spend some time on the beach or you could do a scenic sea plane flight over Waiheke Island and finish with wine tasting in one of the award winning local vineyards. Staying in Ponsonby or Mt Eden will mean you can spend your evenings dining in the favourite local spots, away from the hustle bustle of the city centre. You’re heading to the central North Island hub of geothermal activity, all whilst avoiding Rotorua which is the most visited destination in the country. On your way we recommend stopping at Te Aroha with its natural hot sparkling spring water and at the geothermal park Orakei Korako. 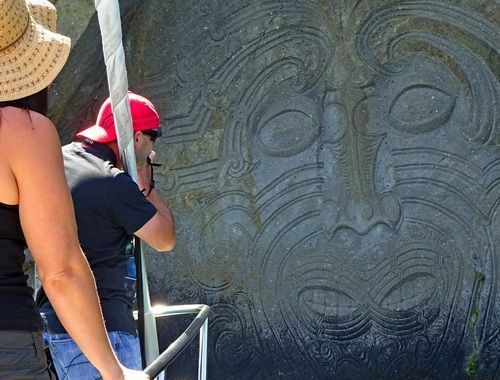 The following day can be split between a unique tauhara - a chance to be immersed in Maori culture at the local marae and a sailing cruise on Lake Taupo to see historic rock carvings. 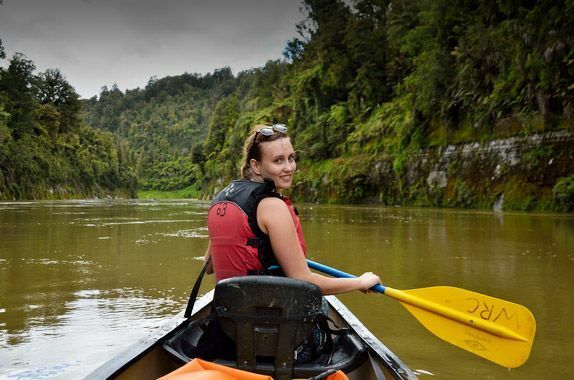 The only one of New Zealand’s great walks to be done in canoes or kayaks, the Whanganui River Journey leads you through the stunning Whanganui National Park. You don’t need any prior experience out on the water, you just need to be open to sleeping in basic conditions for a few days. The department of conservation huts are your only choice, they are well maintained but fairly rudimentary with no showers, you’ll be staying in communal dormitories in your sleeping bag. It may only be one of the newer wine making regions in the country, but Martinborough already has an animated feel to it. You can hire bikes to get from one vineyard to another but you’ll also want to save a half day for a trip to Cape Palliser, the southernmost point of the North Island. A character hotel overlooking the village square. There’s a fair amount of time spent on the water today between the Cook Strait ferry and the aqua taxi transfer to your accommodation. 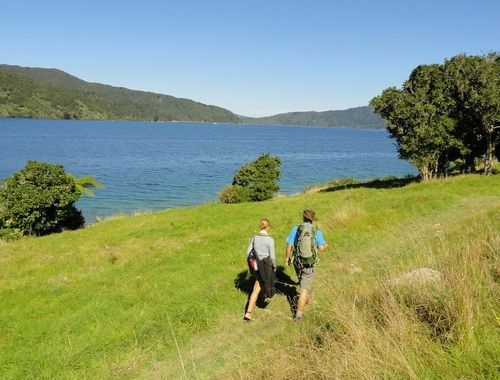 But it’ll all prove worthwhile - the Queen Charlotte Track through lush vegetation is superb and the sunset is often a magnificent sight to behold. 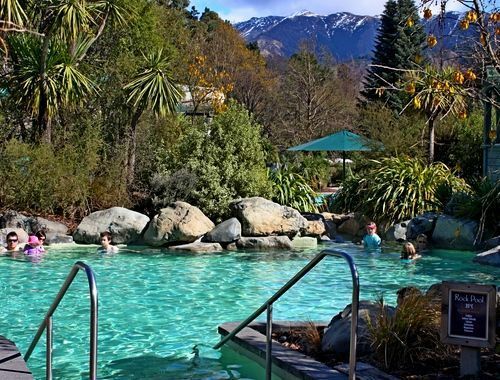 Hanmer Springs thermal resort invites you to soak your tired muscles in the hot pools and book in for a spa treatment or massage after all your hard work. The perfect way to finish your holiday in a relaxing way. If you were still wanting more of the great outdoors mountain biking is a popular activity in the area. A charming B&B, your hosts will treat you to pre-dinner drinks. 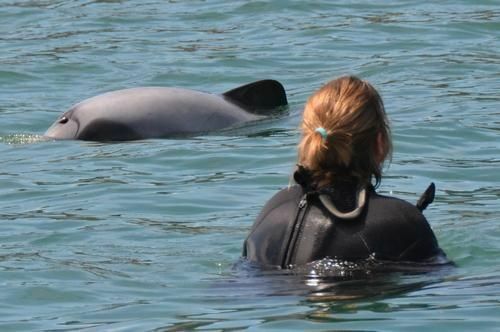 A final short drive, with the option of continuing on to Akaroa if you wanted to swim with dolphins. 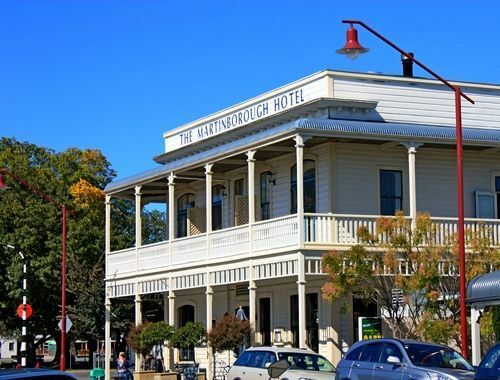 A small boutique hotel that just recently opened in 2014.